I had a City News journalist visit me yesterday. She’s writing a story about bees and my push to get bee hives on city rooftops. 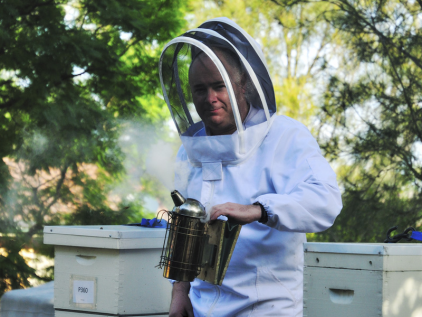 I have also entered the City of Sydney Small Business Awards: all part of my media swarm plan to get bees on the radar of councils.